Brainstorm as coordinator of VisualMedia, a European funded project, has had the pleasure of taking part in BIT Broadcast Fair which is held in Madrid yearly. This venue becomes one of the most relevant appointments for the broadcast sector at national level. 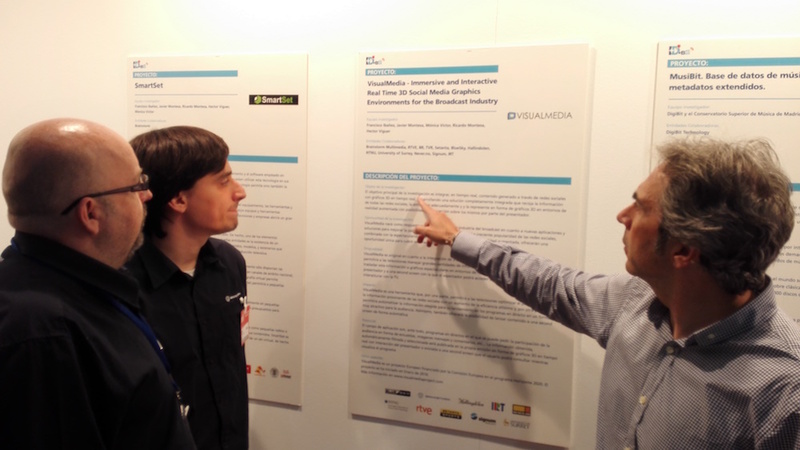 This Spanish trade show assigned a special section devoted to the newest pioneering technologies in broadcast, in which VisualMedia was fortunately selected from other outstanding initiatives to be present in this R&D section with a poster to graphically summarise the vision and objectives foreseen within the project framework.